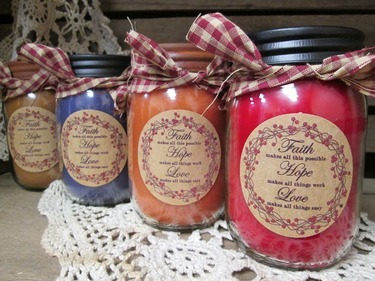 KKE Candle is a local family owned business located in Derry NH. Our products include both soy and palm wax based jar candles and wax tarts, along with our 4 ounce room sprays made with our line of XTREME premium fragrance oils used in our candles. We have also introduce a new line of Lighted Burlap Sacks in various sizes for all seasons.